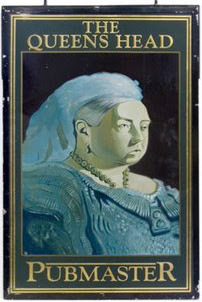 Herewith the third and final installment of gift ideas for those interested in all things Victorian. In case you missed them, you can read Part I here and Part II here. Peeper reader Mad Scientist recommends the "For the Home" section of the J. Peterman Company website, which offers, among many other intriguing things, this fantastic pub sign (above). "As with the commander of an army, or the leader of any enterprise, so is it with the mistress of a house," wrote 25-year-old Isabella Beeton in Mrs Beeton's Book of Household Management (1861), a guide to cooking and cleaning that paved the way for today's domestic divas, including Martha Stewart and those terrifying women from How Clean is Your House?. It's available in an Oxford World's Classic edition at Amazon. Add a mug or coasters with illustrations inspired by the book (the "jelly" coaster is shown here), the superb biography The Short Life and Long Times of Mrs Beeton by Kathryn Hughes, and a DVD of the 2007 PBS/Masterpiece Theatre production The Secret Life of Mrs Beeton and you have a present that even the fastidious Mrs B would have approved of. 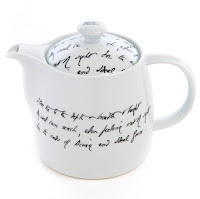 The always reliable British Library online shop offers the "Great Works" crockery collection, including ceramic mugs, bowls, cups, saucers, and plates with extracts, in the authors' handwriting, of works by Charlotte Brontë, Thomas Hardy, Elizabeth Barrett Browning (the charming teapot shown here features Sonnets from the Portuguese), and Oscar Wilde. The children's range includes adorable pieces illustrated with characters from Lewis Carroll's Alice's Adventures in Wonderland. Become someone's favorite aunt or uncle instantly by pairing a Queen of Hearts bowl with the Alice's Adventures Underground: Turning the Pages CD-ROM. Kids can flip through the interactive illustrated facsimile of Carroll's manuscript while listening to Miriam Margolyes (Professor Sprout from the Harry Potter films) read the story. Pure magic. Staying with the domestic theme for a moment longer . . . 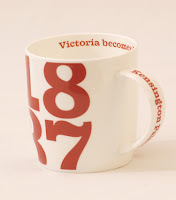 Historic Royal Palaces offers this 1837 date mug, marking the year in which Victoria became queen, and a lilac loving cup, pill box, square tray, and tankard inspired by the lace on her wedding gown. From the Florence Nightingale Museum shop comes a replica of the famous Turkish camp lantern carried by the "lady with the lamp" and packets of Brown Windsor Soap, a favorite of the queen, who sent more than 200 pounds of the bergamot- , lavender-, and clove-scented stuff to the Crimea in December 1854. Benjamin Pollock's Toy Shop offers exquisite toy theatres based on Victorian originals, all of which come with characters, scenery, and script; dioramas; jumping jacks; music boxes; paper dolls; hand puppets; marionettes; optical toys; and nineteenth-century tinsel prints. The tiny store in Covent Garden is one of my favorite places in London; now you can also order online. Charles Booth's Descriptive Map of London Poverty, 1889 is available in a four-sheet set from the Museum of London. Framed, it would make a nice gift for anyone interested in the social history of Victorian London. (It would also make original wrapping paper for that first edition of Dickens's Oliver Twist mentioned in my last post.) The Ragged School Museum offers a number of children's books on the history of the East End and efforts to improve the living conditions of the destitute. Barnardo's, a children's charity founded by Thomas Barnardo in 1867, continues to work on behalf of children affected by poverty, abuse, and discrimination. Read more about this Victorian institution here; learn how to support its work and give a holiday gift with a difference here. The British Library is the source for some of my favorite gifts to give this holiday season: audio CDs. Among the Victorian personalities captured in rare recordings on Voices of History I are William Ewart Gladstone, Christabel Pankhurst, Andrew Carnegie, Florence Nightingale, and William Booth, founder of the Salvation Army. Voices of History 2 features Alfred, Lord Tennyson; Henry Irving; Ellen Terry, Arthur Sullivan; Arthur Conan Doyle; and Henry Morton Stanley. On Poets: The Spoken Word, Tennyson reads his "Charge of the Light Brigade," Robert Browning his "How They Brought the Good News from Ghent to Aix," WB Yeats his "The Lake Isle of Innisfree," and Rudyard Kipling his "France." Also available on separate CDs are Kipling's Just So Stories (read by the great Geoffrey Palmer); The Jungle Books and Rikki-Tikki-Tavi and Other Stories (read by the equally great Madhav Sharma); and Bernard Shaw Radio Broadcasts, which will give you an inkling of just how much this brilliant man must have intimidated writers, actors, and composers as one of the most powerful Victorian critics of the arts. Palmer also reads my favorite Victorian comic novel, George Grossmith's The Diary of a Nobody, in a new recording published by silksoundbooks. If you're not already familiar with this book, I highly recommend it as an effective antidote to holiday angst. On the website of the newly reopened London Transport Museum, you can browse an immense archive of historical posters, then request photographic prints of the ones that strike your fancy. 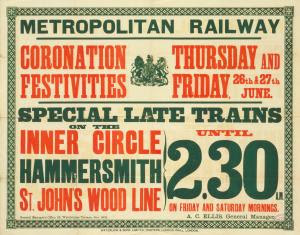 Shown here is a poster from 1902 announcing special late trains to accommodate those celebrating the coronation of Edward VII (later postponed to August because of the king's illness). While you're at the site, be sure to visit the Victorian Transport section and learn about horse trams and steam locomotives. And last but certainly not least, Liberty (founded in 1875 by Arthur Liberty) has breathed new life into two of its Victorian archival prints by applying them to evening bags, travel accessories, and diaries, notebooks, and telephone/address books: Hera, a peacock-feather print from 1876, and Ianthe, a glorious Arts and Crafts swirl from 1900. Perfect for the Victorianist fashionista in your life. 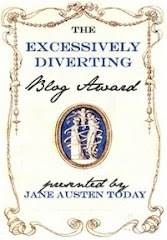 Kristen, Thankyou - fascinating blog!! I came across you during a search for the Watt's chapel and gallery which we have often visited but not photographed, and hope to come back and dip in often. 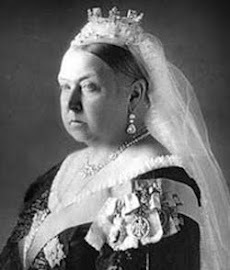 Although my interest is more general I touch into a number of areas of British history and am compiling relevant links. Hello, cassin! Thanks for your message. The URL in your message does not seem to be working; can you provide another source of information for the game? Thanks so much.